Where to go for a rendezvous for two in the city that never sleeps. As someone who's lived in New York City for more than 10 years, I've been around the block when it comes to dating and date night ideas. Although the majority of my dates have been in dark bars somewhere in the Lower East Side (that's what you get when you date poor artists), there were some dates I've had that evoked that fleeting feeling of, "Wow. I want this moment to last forever." And then forever was over 90 minutes later. While the city and its suburbs have a lot of great places to offer during the day, the best part about NYC is just how much more fun things become once the lights go out. Here are New York City's most romantic summer date spots, whether you're on your first date or your thirtieth. 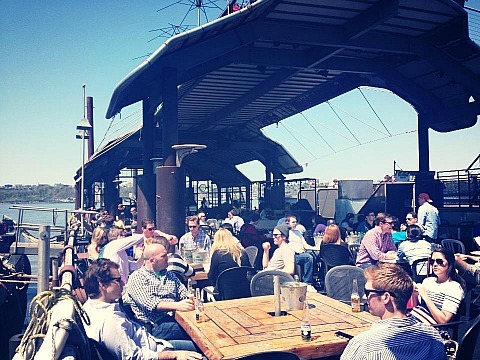 Right on the Hudson, the Frying Pan is one of the hottest places in the city right now. Once a sunken 1929 lightship, the Pan has been resurrected into one of the West Side's more exciting dive bars. From the gorgeous sunsets over the Hudson, to the eclectic crowd once it gets dark (like couple swing dancing to no music behind you), this lively boat is definitely a place to check out. Plus, you get to reference this as many times as you want. Rockaway Beach Boardwalk at Beach 86th Street, Rockaway Park, N.Y.
Kind of a haul from Manhattan, but totally worth it, Rippers is the place to be this summer. 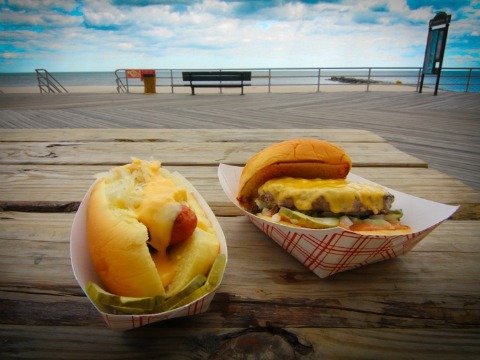 It may not be open late, but it's the best way to end a day of fun in the sun with burgers and beer right on the boardwalk. And the best part is, the more money you spend out there, the more you're contributing to bringing the Rockaways back to life. OK, OK. Before you roll your eyes, hear me out on this one. As a New Yorker, I loathe tourist attractions just as much as you do. 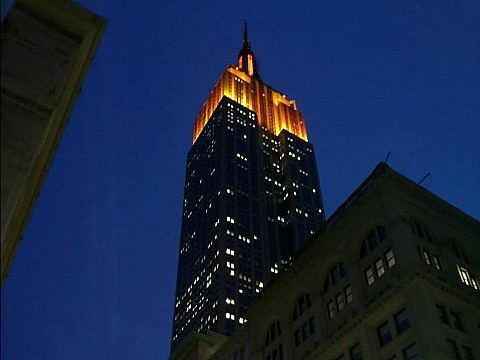 Even the thought of spending a hot date amongst tourists makes my stomach twist in ways I didn't even know possible, but think about it this way: Have you ever actually been to the top of the Empire State Building at night on a date? No? Yeah, that's what I thought. On a steamy night, there's nothing better than 102 stories above the sweaty city below to check out the views. I promise you, it's awesome, and the best way to appreciate the city you love so much. Learning to cook together is hands-on and collaborative, two things that can be beneficial to your relationship. 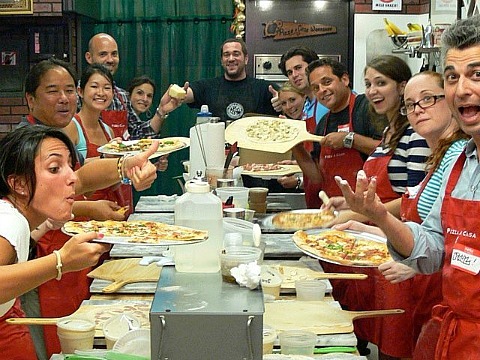 Pizza a Casa has a pizza cooking class that's bound to be a blast as you and your date drink wine, meet other couples and learn how to properly toss some dough. What's that you say? 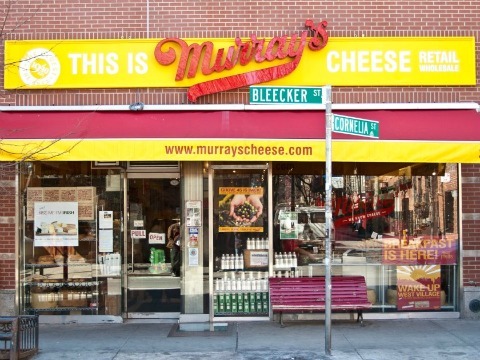 You've yet to go to Murray's Cheese Shop?! Between wine and cheese pairings placed before you by experts, and classes that teach you everything you would ever want to know about cheese, Murray's Cheese Shop is fast becoming one of the best places for date night. Knowledge about cheese and wine, people; now that's the stuff that makes love happen. The summer may be sweltering with humidity, but once the sun goes down the heat lifts a bit, being outside is actually bearable. Since we only have a few months of this weather before the winter hits, it's a shame to spend every date inside a bar somewhere. 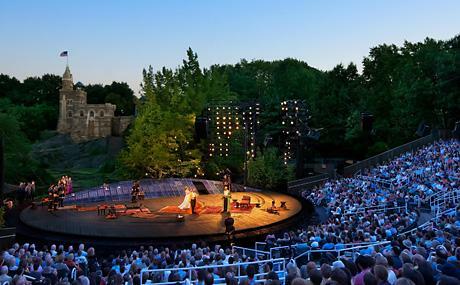 From the New York Philharmonic outside concerts, to Shakespeare in the Park, to watching movies under the stars, nothing says a hot night on the town like an evening in Central Park. 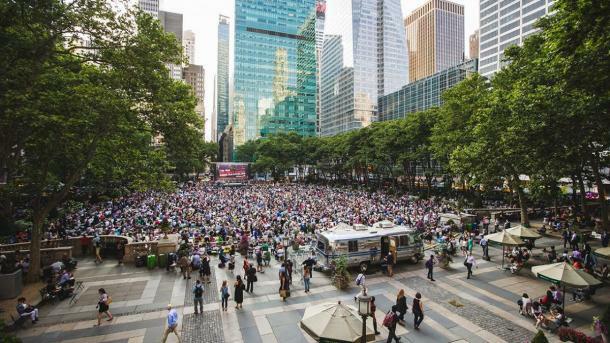 Every Monday at sunset, Bryant Park comes alive with an free outdoor movie. Grab a blanket, some snacks and your date (OK, maybe some wine hidden in a water bottle too), and cozy up on the grass to classics like Willy Wonka and the Chocolate Factory and E.T. 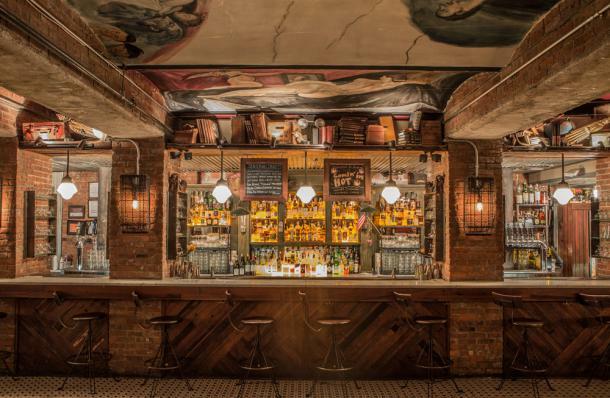 This basement bar in Chelsea Market has deliciously strong drinks and a dark, relaxed atmosphere, so you'll have no problem getting comfy with your guy during happy hour. And, it's right near the High Line, so a romantic stroll on the linear park post-drinks is a must. Looking for an adventure in Williamsburg? Try out this charming, French Quarter-esque spot with an indoor bar and outdoor patio. 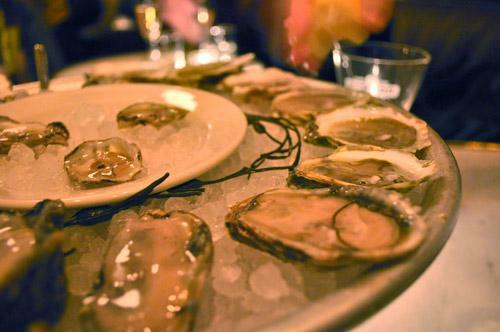 And, did we mention?There's dollar-an-oyster happy hour and an absinthe fountain. If you're coming from Manhatthan, take the East River Ferry over to Brooklyn for a nice, New York breeze.